The weekend got off to a flying start on the Thursday night, when my car broke down at Glenrowan Maccas — luckily the Chalet had a working bee and I was able to get a lift there, once Jody and Ryan finished controlling the British Crown and keeping the metric system down. So Ryan and I spent the first day of the hike loading wood into the chalet for winter before Matt & Catey made it there. The party set out early on Saturday. Luckily, we were able to get back on track easily enough and we made it to that night’s hut without much issue. Oh! and speaking of that night’s hut, I found some familiar names in the logbook there, Ro and Phil had been through a few years before hand. So that was cool. Our second day got off to a strong start when we took a warmup lap around the campsite looking for the track that lead downhill. After a steady couple of hours’ we made it to the river at the bottom of the valley for lunch. Speaking of bottoms, after we forded the river Ryan decided that since he had wet feet, it would be an excellent time for a swim. 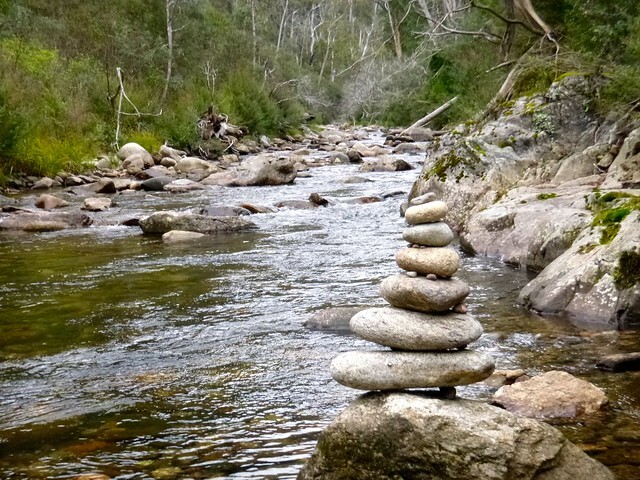 No one else was sold on the idea, and we apologised to the nice lady and her daughters who had come down from Bogong and were also stopping for lunch. 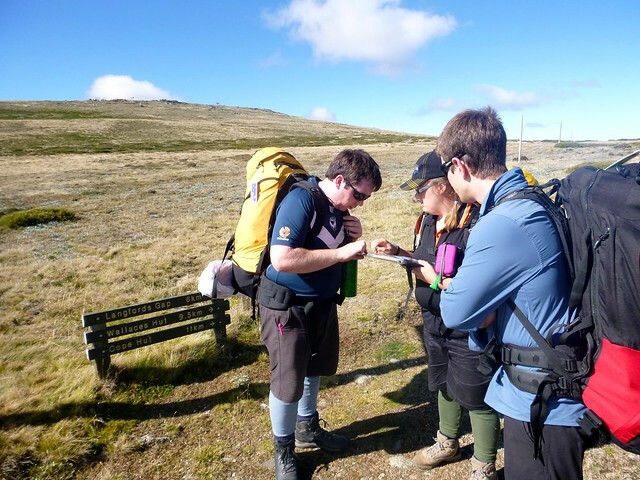 The afternoon was much more difficult, as we started the ascent of bogong itself. I wasn’t a fan. Eventually, though we found our way to Cleve Cole Hut which was way nicer than I expected. It’s built of stone instead of all the other ones which are wooden and there’s a nice selection of reading materials available, plus the top secret locked area that you need to pay to access. The next morning, Matt and Catey went off to watch the majestic sunrise while Ryan and I decided that staying asleep in the nice warm hut was a much better idea. They totally got engaged — not that they’ll admit it though. 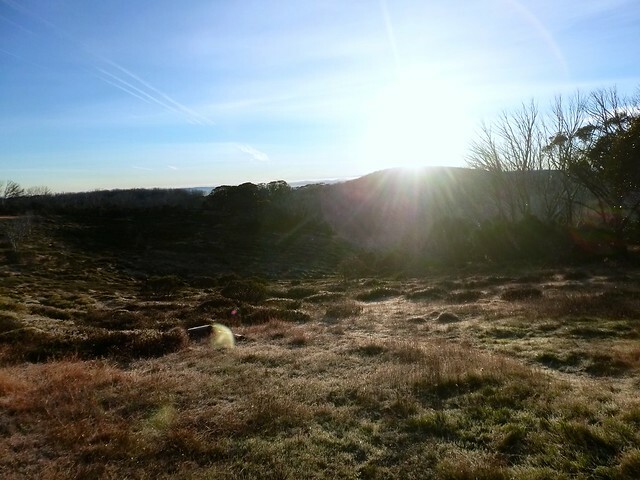 We did eventually left the hut though, and made the final ascent. Being civilised folk, we had a cuppa on the cairn. While we were up there, a glider got towed up from the airfield and we got to watch that go for a few spins around the mountaintop which was fun. But soon we headed off, down The Staircase and back below the treeline where we found Peter from the Chalet waiting for us with the leftovers from their lunch which was very welcome after a couple of days of pita bread Lunches. So that’s those are my highlights from this Easter, have I missed anything important?